When people long missing unexpectedly return to one Midwestern town, a team of ufologists see their role in this interstellar mystery ever-expanding thanks to some mysterious sights and sounds from above. Their questions are unending, but just what is it that is happening here? Fighting the Sky begins eerily enough with a strange rural setting. It is a nod to The Blob and to Stephen King’s character in Creepshow. What should be a rather calm night for one farmer turns into an event that will never be forgotten. First, there is the SOUND. A bluish green glow then permeates through the fields on this dark night. The farmer is caught off guard by the sudden strangeness of the situation as he comes face to face with whatever entity that has landed on his field. "the concept in and of itself (and the special effects) works enough magic to end on a brain-bursting high note"
This opening refrain from this tone poem about aliens and abductions is an unsettling beginning that, ironically enough, sets the groundwork for a very patient science fiction movie about invading aliens. 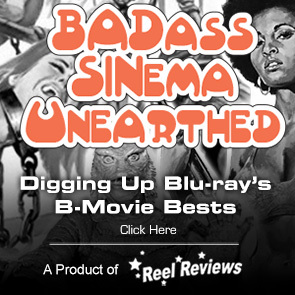 This is not your typical low budget sci-fi B-movie. It is a slow burn of a film that doesn’t always maintain the audience’s attention, thanks to some pretty limited acting, but manages to do some damn interesting things with alien abductions. In that manner, this movie, directed by Conrad Faraj, earns a passing grade. While we won’t ever escape the small-town vibe of this flick, the concept in and of itself (and the special effects) works enough magic to end on a brain-bursting high note. And, thanks to some clever bits in a library and a pretty funny scene in which the ufologists disguise themselves as a documentary crew in order to interview the “once missing, now returned” people, the film connects two different groups of alien hunters and has them face one big assault in Ohio. Fighting the Sky is, first, a very thoughtful approach to “fire in the sky” activity and it begins with strange sounds descending from the heavens. Starring Angela Cole (White Boy Rick) as amateur UFO hunter and Roger Conners, the film starts small and aims high as a small group of Ufologists suddenly find themselves on the defense against gray alien invaders with black lizard-like tongues. With no safe space to run to, two groups merge together and try to outrun and outsmart the alien invaders. With solid spaceship designs and a cool gray alien costume, Fighting the Sky and its actors – including Matthew Ward, Nicole Ann Hicks, Alison Headrick, Jinette Faraj, Judith Faraj, Brianna Burke, Bailey Weaver, Logan Roberts, Ed Conrad, and Larry Cahill – create a more thoughtful B-grade response to alien invasion pictures. The visual effects are from Corey McCauley (Tusk, Don’t Kill It), but it is the cinematography alone, full of great urban locales and beautiful Midwestern stretches of land, showcasing a grand sky capable of justifying the paranoia some feel about aliens that really sells this film. Like I said, this film, still clocking in at about 90 minutes, takes its time with the material. The patient will be rewarded. 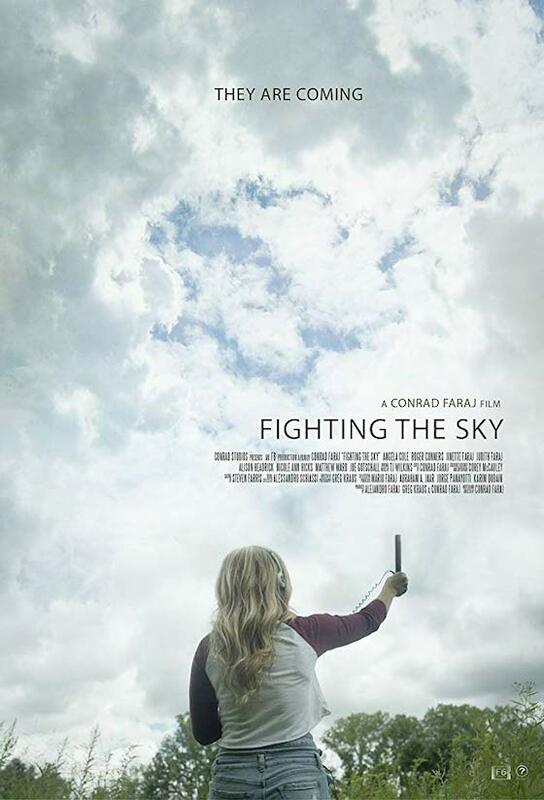 Fighting the Sky, released by High Octane Pictures, is available on VOD on February 5th. The aliens aren’t coming, man, they are already here. Memorable Movie Quote: "We're all hearing the sounds. They are coming from all over the place. All over the world. But what are they?"